Luckily, I’ve discovered that a good way for adults to feel less adult-y is POPSICLES. (Also bright pink nail polish, Roald Dahl books, and the word “adult-y”). It’s fool proof. I mean, just try and slurp on a fresh, drippy popsicle and feel elegant/sensible/grown! Impossible. Try one! And forget about everything, if just for a popsicle-shaped minute. 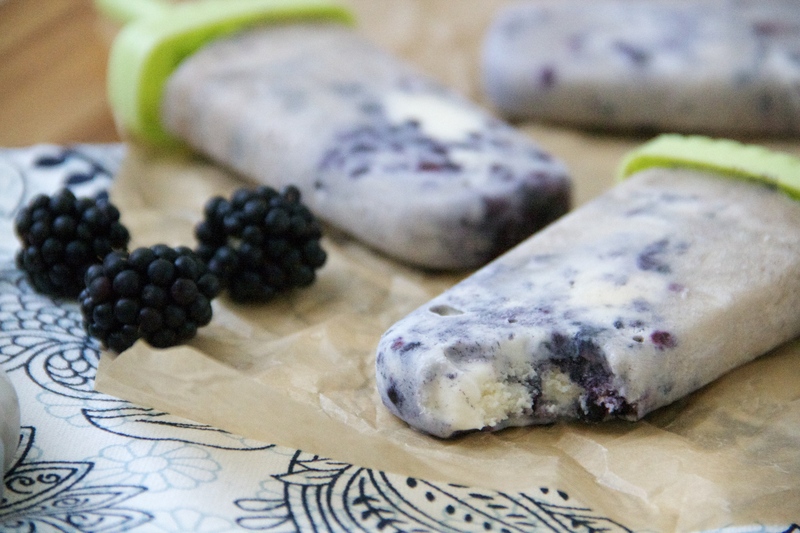 I love the addition of fresh berries in this popsicle. 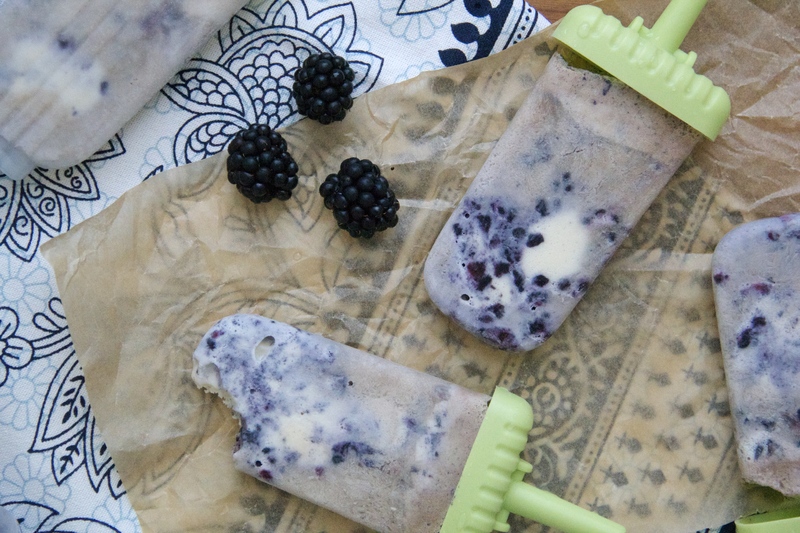 The berries get mashed up with the softened ice cream, giving the finished popsicles beautiful color and some texture, too. If you don’t love blackberries, try raspberries or blueberries instead. And use your favorite root beer! (Or, if you want to get fancy, you could try it with cherry soda, etc). In a medium-sized bowl, mash the blackberries with a fork until smushed but chunky. Add the ice cream and gently mash to combine, leaving some white streaks here and there. 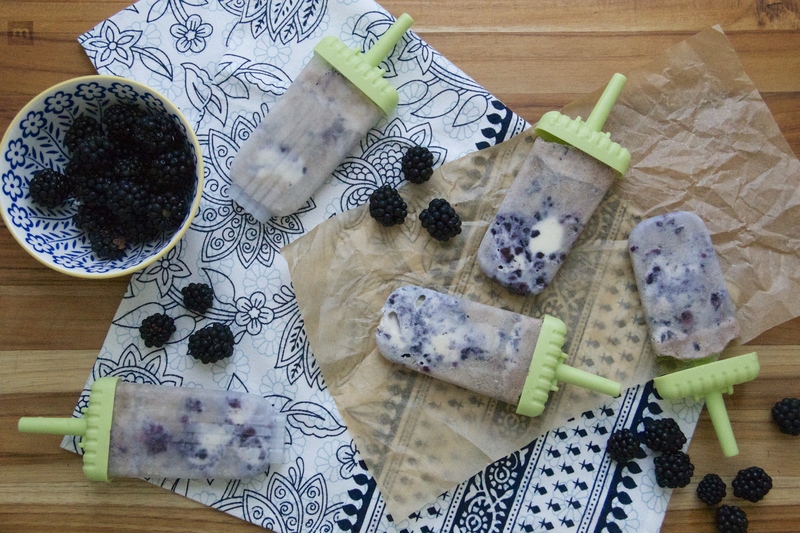 Use a small spoon or fork to distribute the blackberry ice cream mixture into popsicle molds (I got 6 pops out of the mixture), leaving about an inch or two of space at the top of the mold. Pour the root beer into the molds to top them off, pushing the ice cream down with a fork to evenly distribute, if necessary. Place popsicle sticks in the molds and freeze the popsicles for a few hours, until firm. If you need to, run the molds under a bit of hot water to loosen the popsicles before enjoying! 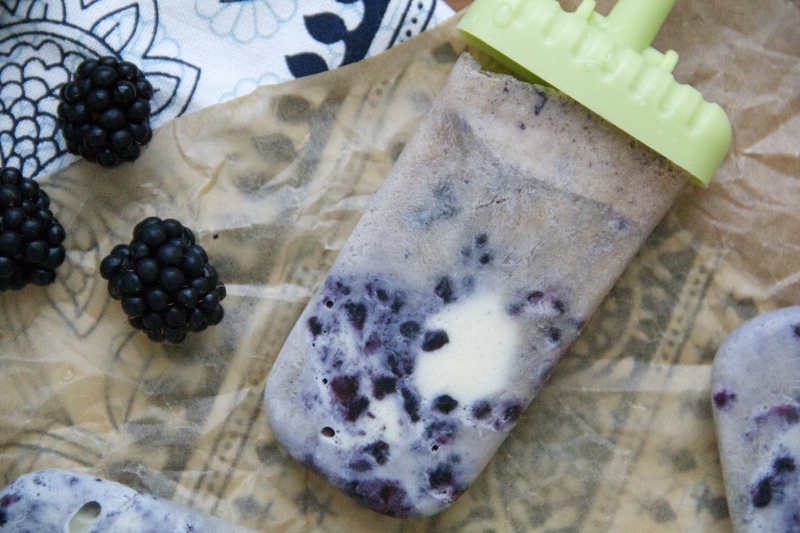 oooh, fruit in a root beer float (pop)? yes! i’m also really curious about the frozen soda- does it stay liquid soda fizzy, or does it transform? the soda stays kiiiiinda fizzy, but mostly it just gets icy… in a refreshing sort of way. #worstdescriptionever? ooh yes! 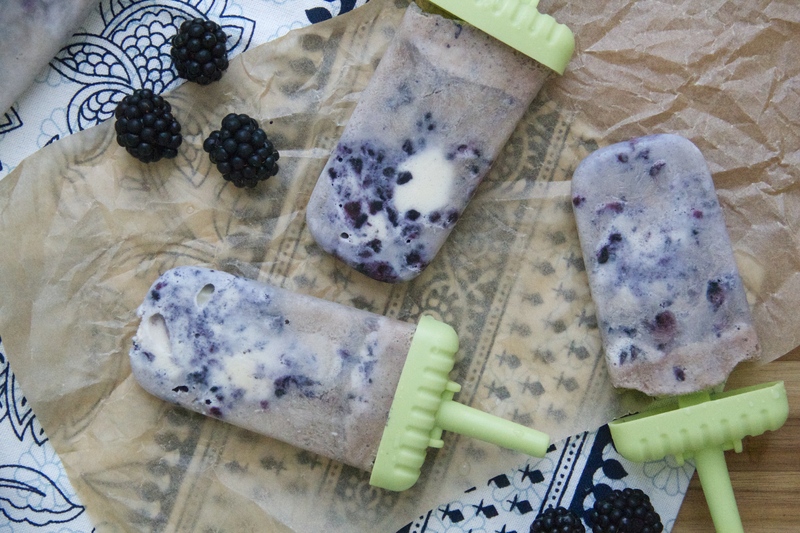 boozy pops – good call.